Alzheimer’s disease is a progressive neurological disease that affects more than 5.3 million Americans, robbing their memory, cognitive skills, mobility, personality and ability to communicate. Since the 1980s, The Eddy has been committed to improving the quality of life for individuals living with Alzheimer’s disease or a related dementia. 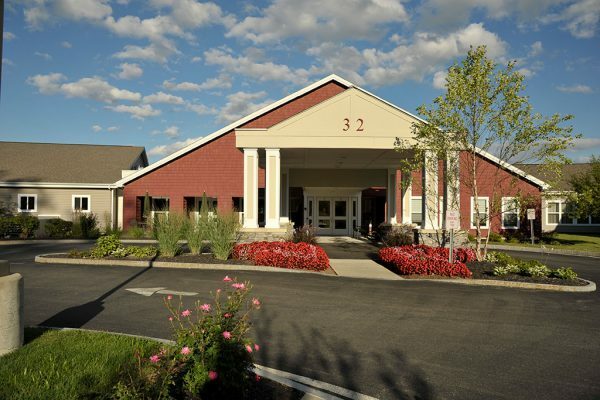 In 1997, The Eddy opened Eddy Memory Care at Marjorie Doyle Rockwell Center in Cohoes, a unique residential community specially designed for individuals with Alzheimer’s disease, dementia and other related memory loss. In 2006, we expanded that commitment with the opening of Eddy Memory Care at Eddy Hawthorne Ridge in East Greenbush. We are proud of our innovative memory care communities, each providing a warm, homelike environment where dignity and independence come first. Why Choose Eddy Memory Care? At Eddy Memory Care, we offer specialized care, in an assisted living setting to serve individuals with early- to mid-stage memory loss, Alzheimer’s disease, and other related dementias. While offering an increased level of security and assistance with daily activities, memory care goes beyond traditional assisted living by providing a team of experienced caregivers specially-trained in dementia care. Caregivers are able to respond and adapt quickly to each resident’s unique and changing needs, constantly focused on seeing the individual first and dementia second. We understand that dementia affects the entire family and we are here to support you as well as your loved one. Some of the on-site support services available at our Eddy Memory Care centers include support groups, family meetings, holiday gatherings and an Alzheimer’s division complete with an Alzheimer’s expert available for questions, information, and education are available completely free of charge. See if our specialized care is right for you and your loved one. Call us today at (518) 279-5502 to receive more information about life at Eddy Alzheimer’s Center at Eddy Hawthorne Ridge and call us at (518) 238-4179 to receive more information about life at Eddy Memory Care at Marjorie Doyle Rockwell Center. Marjorie Doyle Center and Eddy Hawthorne Ridge offer residents the opportunity to enjoy our beautifully designed living areas, with fireplaces, and cozy seating that create a warm, familiar environment for residents and loved ones to enjoy meaningful social connections. 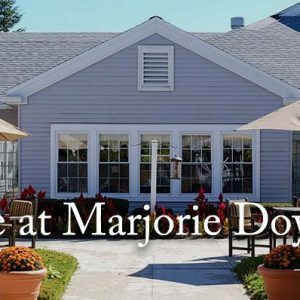 Located in Cohoes, NY, Marjorie Doyle Rockwell Center is a memory care community featuring 52 private and semi-private rooms. Eddy Memory Care at Eddy Hawthorne Ridge is a memory care community featuring 54 private rooms located in East Greenbush, NY.